The 22-year-old was a part of Glasgow Academicals for the 2013/14 season following which he represented Glasgow Warriors and Glasgow Hawks before making a switch to English National League 3 club Hull for the 2016/17 season. "It's an honour to come back here. I've never stopped following Glasgow - it's my home, and I've never stopped pushing to try and get back up the road," he said to Warriors TV. 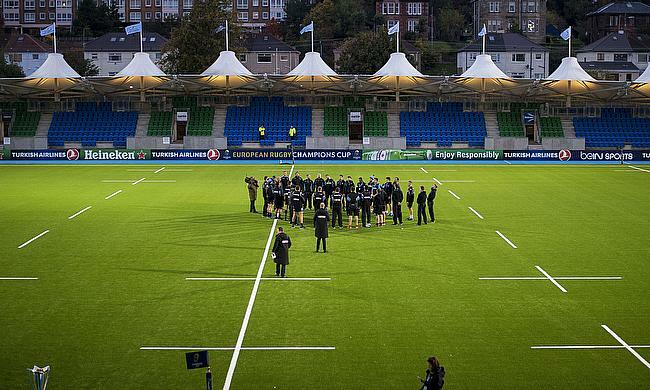 "Jonathan Humphreys has done really well with Scotland. I've been lucky enough to train under him a couple of times before and he's a great coach. "Dave Rennie's coaching experience is unbelievable and he's achieved so much at the Chiefs, so it's very exciting." Meanwhile, wing Ratu Tagive has also penned a one-year contract extension with Glasgow Warriors. He will be allowed to represent Currie Chieftains next season when he does not represent the Scottish regional side. "I'm excited to be staying on and continuing to learn under the new coaching staff," he said. "I'm really enjoying it here and I'm grateful to have the chance to stay next season." Meanwhile, assistant coach Kenny Murray is confident that the duo's addition will benefit the club. "Ratu impressed playing for Currie and in his opportunities in a Glasgow shirt last season and has earned another year at the club. "We expect him to continue to progress as he harnesses his natural athleticism and develops his knowledge of the game and the way we want to play. "Kiran has spent time with us before and it's great to welcome him back to Scotstoun. "He's an imposing and mobile player and will add to the competition we have in the second-row next season."